In my recent pilgrimmage to Thirukannapuram, a Temple near Nannilam (Mayiladuthurai – Nagapattinam route) – I stepped into a small post Office, bought Inland letter and wrote back home ~ the man at the counter remarked that perhaps months or even years since he sold ‘Inland letter’ ….. when was the last time you wrote a letter or even a personalized e-mail…… the fact is ‘e-mail’ itself is considered utopian in an age where people only make status updates. Every morning some log on to Facebook anxious to see how many ‘likes’ they had got – make their status updates, post their ‘selfies’ and remain happy ….. some remain happily connected to FB throughout making instantaneous comments on their friends pages. How many friends you have on FB online social networking created by Mark Zuckerberg. Facebook now allows anyone who claims to be at least 13 years old to become a registered user of the website ~ though it is not official, some have multiple accounts too !!!!! In recent past, some of its user base has been eroded by other applications including ‘WhatsApp’…. 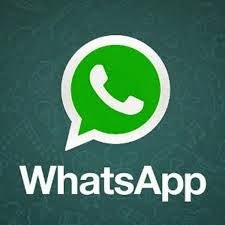 WhatsApp Messenger is a proprietary, cross-platform instant messaging subscription service for smartphones. In addition to text messaging, users can send each other images, video, and audio media messages. The client software is available for Google Android, BlackBerry OS, Apple iOS, selected Nokia Series 40, Symbian, selected Nokia Asha platform and Microsoft Windows Phone. WhatsApp Inc. was founded in 2009 by American Brian Acton and Ukrainian Jan Koum (also the CEO), both former employees of Yahoo!, and is based in Mountain View, California. As of Nov b2013, WhatsApp had over 190 million monthly active users, 400 million photos are shared each day, and the messaging system handles more than 10 billion messages each day. This morning comes the news that Facebook just stunned the tech world by announcing that it would buy messaging service WhatsApp for a whopping $16 billion. Just like IPL auction, if you are stumped by the price tag – it is simply the young users and more importantly the declining number of pre-teen and teenage users who were using the social media site. For FB a decline in the daily usage from its teenage market segment was worrying as its investors too showed flailing confidence in the company which resulted in the volatile share prices. The youth consumer spending market makes up more than $200 billion in the United States alone and is of significant interest to investors and companies everywhere. So with a futuristic acquisition FB has taken over WA - while grey matters might still prefer FB, not the youth !! ~ where private chatting takes over public posts. CEO Mark Zuckerberg is famously quoted as saying that Facebook was a 'mobile company now'.